One of our goals at SEVAITS Blockchain is to spotlight local and regional projects in the crypto-world, and so I want to bring your attention to the folks over at Charlottesville-based Ambia Fund, namely Tyler Marx and Tanner Roughton, two young gents who have been working hard on a project called Bela. We first met Tanner at a meetup way back in January, where he gave an early demo of Belacam, a social media photo-sharing site that pays users for receiving likes, and he and Tyler came back down this past week to give another demo right before go-live. The level of effort that they have put into the project is considerable, and deserves mention here. The original Bela token was created as a Litecoin fork around 2014–2016 as a way to fund entrepreneurship with the power of the blockchain. The original use case was as a funding mechanism/payment system for game development and player rewards, but it didn’t seem to get past this Android chess game and so the project stalled out and the original developer lost interest. Enter Ambia Fund. They took over governance of Bela token and put it under an organization called Live Bela, tasked with maintaining source code and managing Bela-related projects. Probably the most significant change that Live Bela has made was converting the Bela token from sovereign blockchain to an ERC20 token on the Ethereum blockchain. The first web app launching Live Bela is Belacam, which is taking a hard aim at Instagram, the current king of photo-sharing social apps. 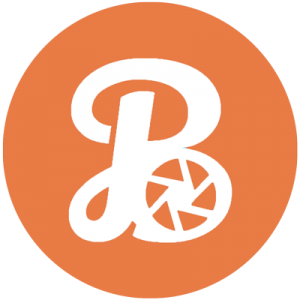 Belacam’s pitch is that users can now be paid for posting their content (in Bela token, of course), but the model is mostly peer-to-peer, with people rewarding others on the site with their own Bela — about six cents currently. The assumption is that quality content will be encouraged with likes, and that creators will be able to earn income for their work. The site has a slick design and works well on desktop and mobile, but the main problem is that there doesn’t seem to be much Bela on Belacam. Early adopter/beta testers were granted about five dollars worth of Bela on signup, but that signup bonus has been terminated in favor of referral bonuses. As of now, there are three ways to get Bela in your Belacam wallet: get likes, refer friends, or purchase Bela on one of the few exchanges that they’re listed on and transfer it over to your Belacam wallet. To be honest, Instagram has never been my thing, so I’m not really excited about the Belacam project as a user. From what I’ve seen so far it seems like a lot of people throwing up pictures, with little in the way of interaction and even less in the way of likes. As an economic project I’m not really sure how it can work if everyone is trying to generate likes for themselves and then paying those likes back out to others — which is necessary to trigger the site’s feed algorithms to showcase your content to more people. The #like4like hashtag seems to demonstrate that people are already trying to game the system, but it’s not apparent that anyone is winning. It seems like a zero-sum game to me at this level, and I’m not sure if Ambia has the same outlook or what they plan to do about it. I think it’s important to compare Belacam — not to Instagram — but to Steemit, which for the uninitiated is a blogging site that also pays users for likes. I’m not going to get into Steemit’s arcane systems in this post, but the main takeaway here is that new users can still post, comment and vote on content, and get rewarded for all three. On Steemit, unlike on Belacam, users can still ‘like’ content (by voting) and can even receive a curation bonus. The main difference between the two platforms that makes Steemit work and Belacam not work (at least right now) is that the Steem network continuously injects their tokens into the network, subsidizing these activity rewards, whereas Belacam has no token faucet to keep things moving. They’ll either need to eliminate or subsidize the cost of liking, since no one signing up to the site that doesn’t already know how to use crypto is going to quit Instagram for a network where they’re prohibited from performing basics such as liking posts. Ultimately, it’s too early to gauge the success of Belacam, but it’s certain that the Ambia team will learn a lot in the coming weeks. They’ll have to make some radical changes if Belacam is going to be a hit; I am more bullish about the Bela token in general. The the team has demonstrated that they can execute with what they’ve been able to accomplish thus far, and it’s obvious that Belacam will be the first of several projects that they will be rolling out utilizing the Bela token. For right now, they need more exchange listings. Since swapping to an ERC20 token they’ve implemented proof-of-stake, which generates over 5 million new Bela a year. (Current supply is over 43 million.) Roughly a quarter of this will go to fund Live Bela, while the rest will go to those who stake their tokens for 30 days or more. Whether they can maintain the price of Bela with this level of token generation remains to be seen. Overall, we’re impressed with the work that’s been done thus far and can’t wait to see what Tyler, Tanner, and the rest of the Ambia/Live Bela team turn out in the next 18 months. We’re rooting for them. Originally published at sevaits.com on July 24, 2018.